National Eligibility Test is conducted by the National Educational Bureau of University Grants Commission on all India Basis. The main objective of this Exam is to determine the eligibility for lectureship and to award the Junior Research Fellowship for Indian nationals so that the minimum standards for in teaching profession and research can be fixed in a smooth manner. Similarly, SET is conducted by State governments on the same pattern. These exams are conducted twice in a year in English and the dialect. To my best of knowledge following states have been conducting the SET Exam. The NET qualified candidates are eligible to apply for the post of lecturer in all Indian universities/Institutes/colleges. But on the other hand SET qualified candidates shall be eligible for appointment to the post of lecturer only in the universities/colleges belonging to the state from where they have passed the SET examination. This is not the case with them who had cleared the SET exam prior to 1st June, 2002, that is, the candidates clearing SET were eligible for appointment to the post of lecturer anywhere in India. Junior Research Fellowship: The candidates who qualify the Junior Research Fellowship (JRF) Examination of UGC/CSIR NET are also eligible for the post of lectureship. In addition, they are also eligible to receive Fellowships (UGC/CSIR) under various schemes subject to the candidates finding their placement in the universities/IITs/other national organizations. The validity of the offer is two years w.e.f. the date of issue of JRF award letter. The validity period of the offer has been raised from one year to two years for JRF Award Letters issued on or after 1st April 2005. However, in case the candidates have already joined M.Phil. /Ph.D., the date of commencement of fellowship will be from the date of declaration of NET examination result or date of their joining, whichever is later. Candidates who have secured 55% marks in Master’s Degree or equivalent examination in their respective subject are eligible for these exams. For SC/ST category candidates the marked limit is up to 50% (without grace). Beside those candidates whose result is awaited by any reason and if the Master’s exam is delayed they also can apply for these exams. However, their eligibility is only be materialized only after the declaration of their said result. NET and SET exams conducted by UGC and the respective state government twice in a year. 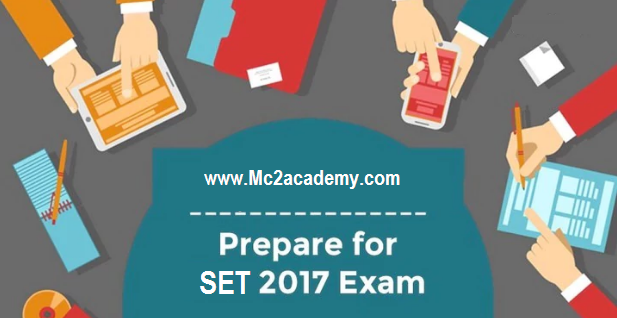 Normally NET is organized in the month of June and December and the notification is announced for this exam in the month of March and September along with web site. As far as SET is concerned, to my best of knowledge this also follows the same pattern, but regarding month I am not so sure.